Don't miss Midtown Crossing's Miracle on Farnam! It is a season-long celebration of creativity, good cheer and authentic holiday pleasures. Here at Curzon, we LOVE the Holiday Season! We were so excited to be chosen by Omaha Children's Museum, Lauritzen Gardens, and The University of Nebraska at Omaha as their Miracle on Farnam printer! 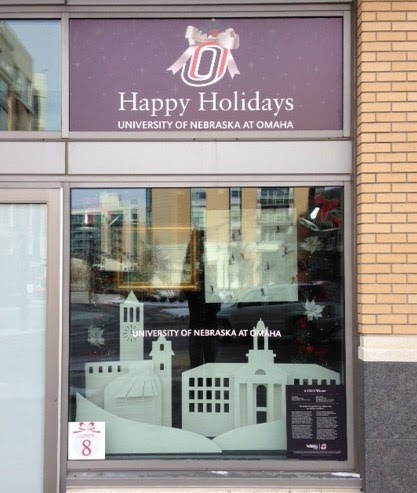 All along Farnam Street, Omaha’s creative non-profits will showcase their artistry and imagination by transforming ordinary window space into holiday miracles. After a public vote, the best display will earn a $3000 donation courtesy of the Baer Foundation. Each of these windows were printed in their own unique way. All were printed on low tac decal and custom cut to reflect the creativity of each of these businesses. 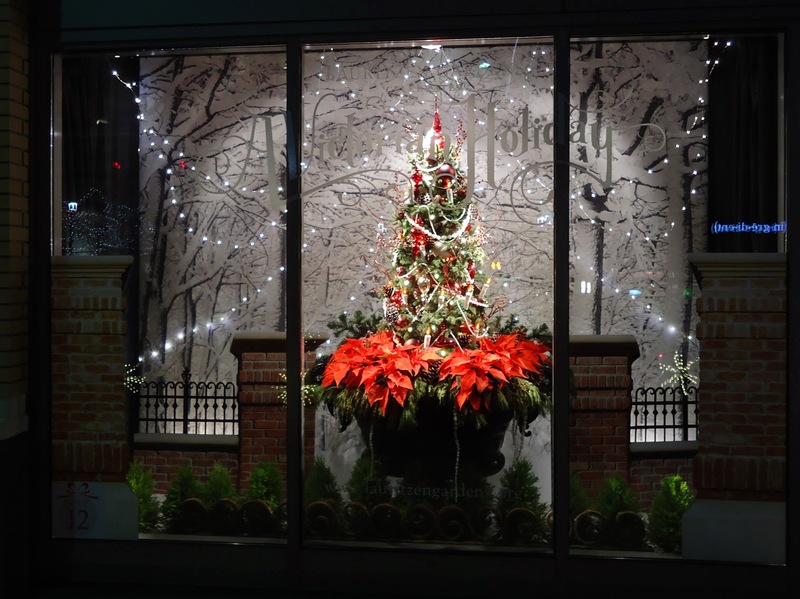 We hope you have a chance to enjoy Midtown Crossing’s newest holiday tradition ---stroll in the glow of sparkling lights, sip hot chocolate, and enjoy a parade of dazzling window displays! The Magic of Santa is alive this holiday season at Omaha Children’s Museum and homes all over the city. 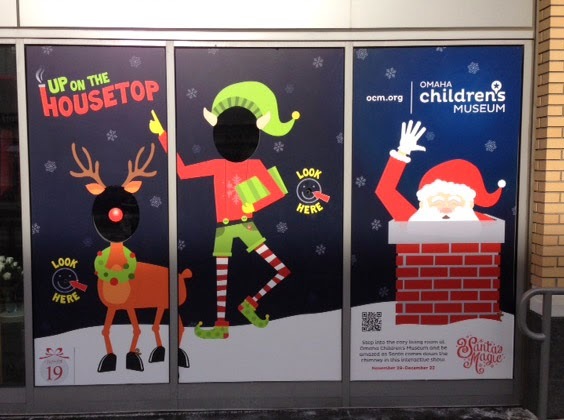 Be a part of Santa’s Magic and become a jolly elf or a helpful reindeer! Look at the red dot, smile bright and your beautiful face will become one of Santa’s favorite helpers! The University of Nebraska at Omaha is a life-changing force. As Nebraska's premier metropolitan university, UNO is where you can fulfill your personal aspirations and career goals. Kissing beneath the mistletoe, decorating with holiday greenery, sharing wishes with Santa, exchanging gifts with loved ones, spreading good cheer through caroling; some of our best loved holiday traditions are those that were embraced by the Victorian Era.